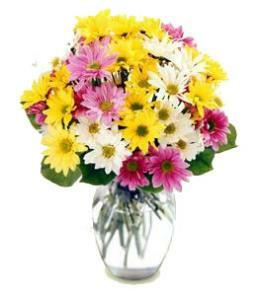 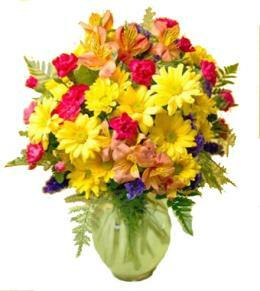 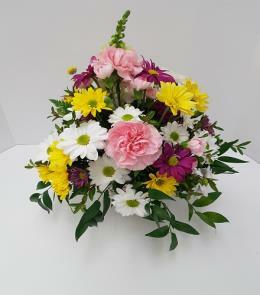 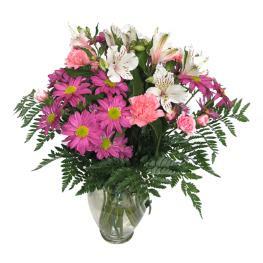 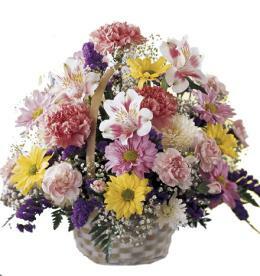 Florist will hand create a bouquet of brightly colored flowers that are available at the time of delivery. 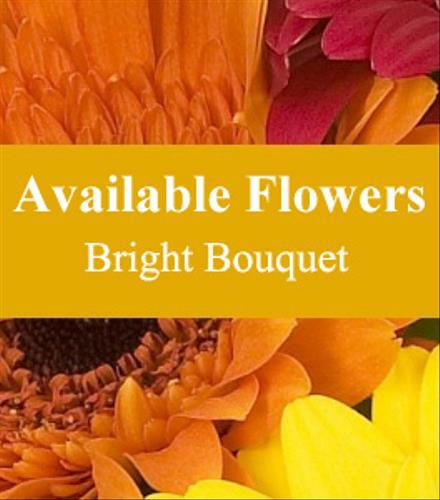 You may ask for preferred flowers and colors. 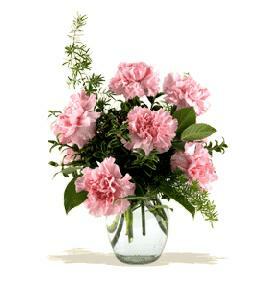 Or any that are to be avoided..